I'm going to make unattended installation of Ubuntu 14.04 (with GNOME Flashback session - migration from 12.04), on about 100 machines. Because I have to personalize their out-of-the-box experience, I need automated solution. Setting up GNOME seems to be little tricky, because everything is stored inside dconf database. I managed to set up wallpaper, fonts, themes or Metacity using schema override (according to instructions here), but I can't figure out how to configure panels. I'm convinced that this can be achieved with dconf too. 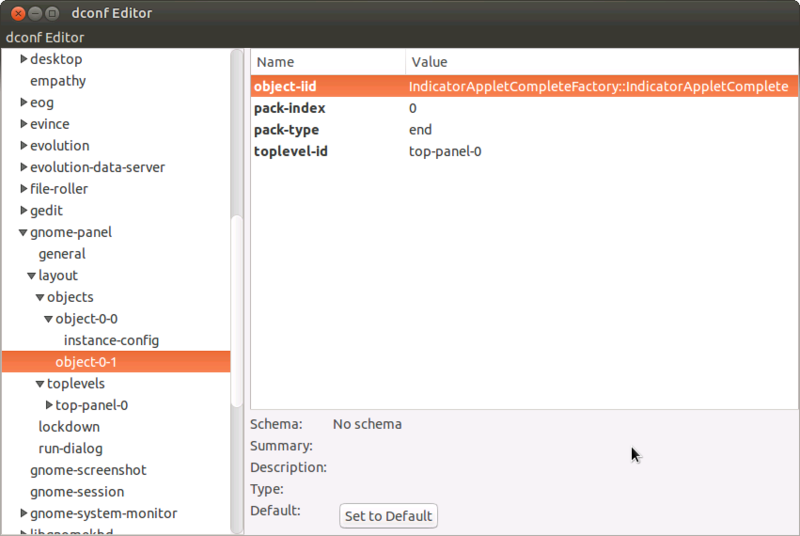 For example, my current Indicator Applet Complete settings (object-iid, pack-index, etc.) are stored inside /org/gnome/gnome-panel/layout/objects/object-0-1. Unfortunately there is no schema (as described in the picture here) and that's why I am unable to create predefined settings file. The only thing I want to have is black 30px panel on the top, with Main Menu applet in the left-top corner, and Indicator Applet Complete in the right-top corner - predefined for every newly created user. I'd like to avoid copying whole ~/.config/dconf/user file, because it's in special format that I'm unable to parse. Default panel configuration is stored in /usr/share/gnome-panel/panel-default-layout.layout file. You can edit it, but better idea might be copy this file to ~/.config/gnome-panel/panel-default-layout.layout and only then edit it. That will allow you to change default applets and panel size. But this file must be available before user logs in session (before gnome-panel is started). But currently there is no way to change text color on panel. This might be or might not be problem - depends on theme you will use. So better idea might be to create ~/config/gtk-3.0/gtk.css and set desired style with css. Not the answer you're looking for? Browse other questions tagged gnome gnome-panel gnome-classic dconf or ask your own question. How can I change default settings for new users? How do I successfully remove Gnome Panels 12.04LTS?